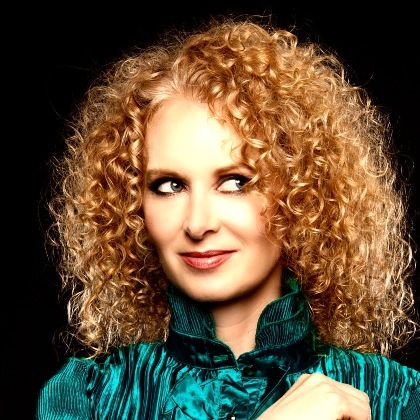 A world traveller with a powerful stage presence, singer-songwriter Nancy Ruth comes alive as she cooks up a very tasty brew of latin, flamenco, and jazz. A musical gypsy, Nancy has spent her life singing her way around the world in search of musical encounters. Growing up in a rustic log house in the temperate rain forest of British Columbia, Canada, she dreamed of a life of music and adventure. Her Spanish roots eventually led her to Málaga, Spain, where she now resides and finds creative inspiration for her songwriting, weaving her influences in the Mediterranean breeze. Always combining a love of travel and adventure with her musical career, she has enjoyed collaborations with Berber musicians in Morocco, Flamencos in Andalusia, and Polynesians in the South Pacific. A performance with Panamanian composer Toño Robira incited encouragement for her to sing the boleros and ballads of Latin America. She subsequently recorded one of his compositions and co-wrote several songs in Spanish for the 2008 Home of Jazz release Me Quedo. Returning to Spain, she wrote and recorded Para Ti in both English and Spanish, and then produced and starred in the show Trío Pasión, an homage to the music of Spain and Latin America, which toured theatres world-wide from 2011-2014.